An edited version of this article was first published by Investment Adviser on 5 April 2019. Major technology brands have completely transformed customer experience on the Internet. One of the far-reaching consequences of their conquest has been a complete overhaul of the finance industry – with major banks and institutions discovering, to their initial shock and disbelief, the need to adapt to the new, tech-dominated, world. The realisation has been slow and anything but painless: the industry persisted in a state of pre-digital linger for a long time but is definitely catching up now, forced by consumer expectations, on one hand, and the emergence of young fintech firms and challenger banks, on the other. In wealth management, however, the attitude towards technology has long remained a mixture of neglect and contempt. Firms serving wealthy clients would tout bespoke solutions and individual approach as their ‘unique’ selling point. Besides, many companies saw tech-heavy services as something of interest and relevance primarily to younger generations – who used to form an insignificant proportion of their HNW clientele. Technological change requires a major transformation of operational models and comes at a great cost – an expenditure most firms could not justify in the light of beliefs described above. Today, such views could not be more out-of-date. Whether in China, the US or the UK, and regardless of the wealth status, we are all users of the same technologies, delivered via the same platforms and devices – across the globe. Accustomed as we are to intuitive and reactive services of the digital platforms, such as Amazon and Netflix, we now expect this seamless digital experience to be repeated across other services, finance included. As a recent Roubini ThoughtLab report noted: “Investors throughout the world – and across generations and wealth levels – want to manage their money in the same way they now shop, communicate, and learn: using a range of digital tools.” This is why I’ve had clients tell me that they prefer the experience they get with the “mass-market” fintechs and challenger banks, such as Alipay and Revolut, to the clumsy and inept tools of their private banks. So much for a “bespoke service”! And even if age mattered, don’t forget that with an intergenerational wealth transfer is happening at a massive scale. The average wealth management client is getting younger year-to-year and each year about $1trillion passes down to younger generations. These are some of the primary reasons for wealth managers to recognise the false dilemma between digital and human. Young or old, wealthy clients’ experience today cannot be met with human advice alone, no matter how personalised. This is not to say that advanced expertise offered by investment specialists and wealth managers is somehow obsolete or out-of-date – anything but, especially now, with the current levels of volatility and incertitude on the markets and slowing-down of the major economies. Knowledge, experience, and bespoke advice have always been and continue to be paramount. But as human expertise alone can no longer suffice, firms that believe the contrary will be squeezed out in the near future. At Dolfin, we believe in the concept of bionic wealth management, a hybrid approach that combines wealth managers’ use of cutting-edge technology with traditional advice on more complex, client-specific matters. The term ‘bionic’ implies that the advisory service is empowered and supported by the use of technology, which helps firms provide a better user experience to increasingly demanding clients, while at the same time improving the operational efficiency of their business. The bionic model offers a better digital experience, more relevant client interactions, and the potential to deliver a more comprehensive service covering multiple assets and products on a single platform. It allows advisors to focus on what they do best – provide the human touch. Improving investment offering: technological innovations including AI, big data and cloud computing could help firms develop new ways to conduct market analysis, build advanced stock screening tools and enable firms to evolve from a traditional asset allocation frameworks to more dynamic and risk-controlled methodologies, supporting investment process in real-time and helping guide decisions in the midst of uncertainty. Ultimately, technology can help advisers to invest smarter and invest better. Boosting operational efficiency. 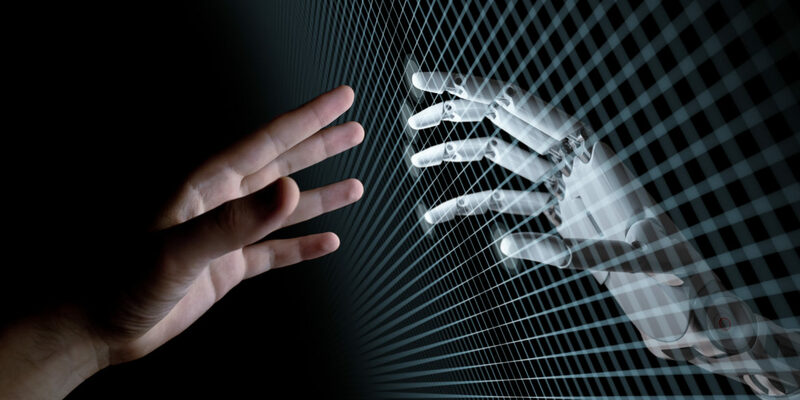 The range of technologies that can make wealth management ‘bionic’ include among others robotic process automation, use of connectivity and APIs and, potentially, blockchain and smart contracts. If properly harnessed, these solutions can allow for a new generation CRM and Compliance solutions, and a seamless user experience across many different, interconnected services. Outsourcing solutions for non-core activities. Today, firms are able to partner with multiple providers, including young and agile fintech players, as it becomes increasingly easier to pick and choose the most appropriate and efficient solutions to increase service quality and improve processes, without a need to develop those in-house. Hosted technology solutions and cloud-based technologies can be most appropriate in specialised areas such as cybersecurity, or products which are well-developed and widely available, whereas certain competencies, such as investment advice and client data are certainly best kept in-house. Finally, we are now partnering up with innovative e-payment providers to develop our own Dolfin payment card. To sum up, greater use of technology for wealth managers can no longer be considered an option. Firms have a lot to gain if they approach this in the right way – and everything to lose if they don’t, as customers would not hesitate to switch their financial services provider in exchange for a better digital experience. By moving slowly, firms stand to lose $79.2 million per billion dollars of revenue a year, according to Roubini ThoughtLab’s 2017 report ‘Wealth and Asset Management 2022’. But digital laggards may pay an even bigger price: falling out of the race altogether.